Text Once per turn, during your opponent's Standby Phase, select 1 face-up card on the field. The selected card's effect(s) is negated during that turn. 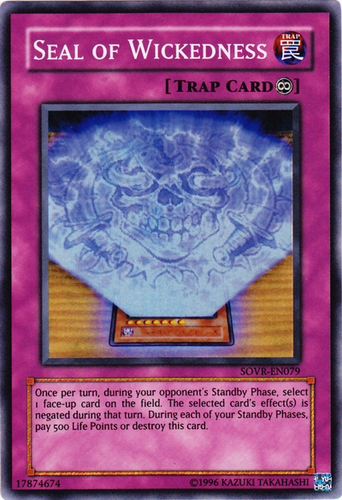 During each of your Standby Phases, pay 500 Life Points or destroy this card.